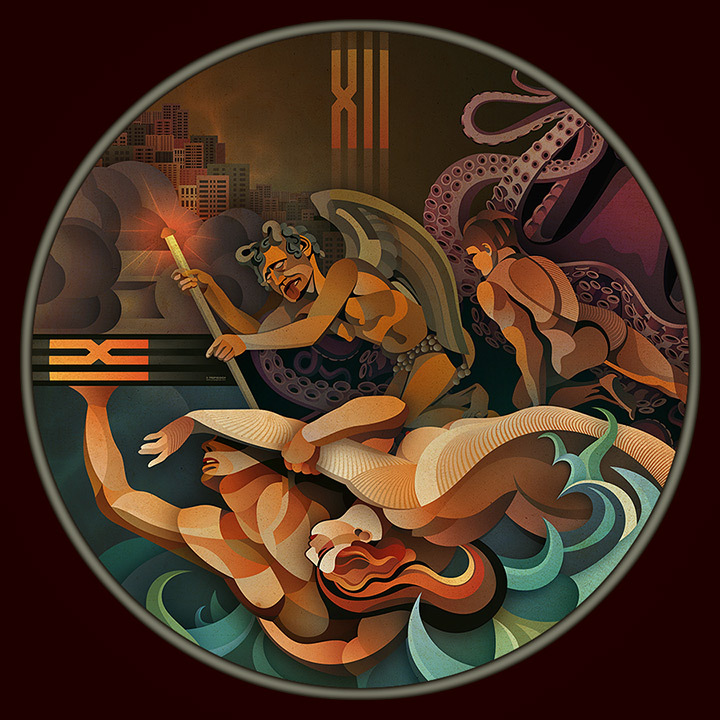 Description 20:12 was a group show inspired by the end of the world which, according to the Mayas will take place this year. The show was held at Kukulkan Plaza in Cancún, one of Mexico's most important Mayan sites. 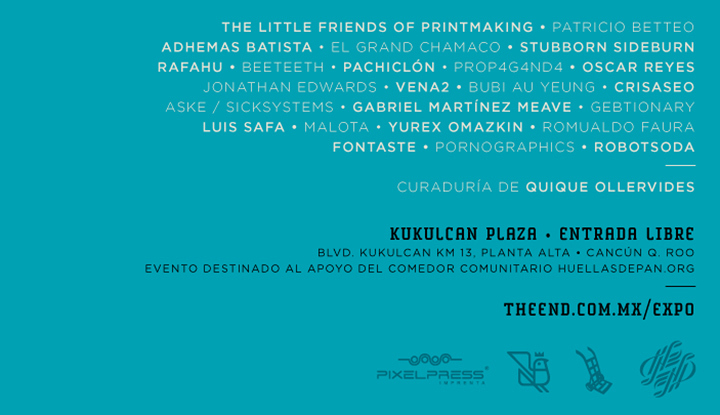 It was one of the many events that conformed THE END, a graphic design conference planned around the myth and allegory of the Mayan's prediction of end of the world. Although these theories have not been fully deciphered, we know that they make reference to the registration of cycles. Based on that premise, 20:12 is directly related to the registration of time. 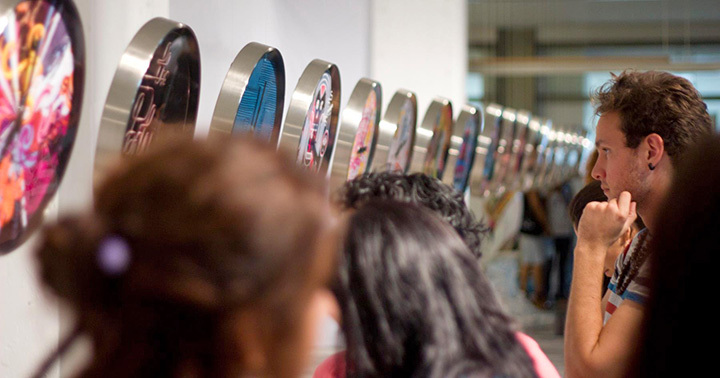 Twenty-four artists (12 Mexican and 12 internationals) participated in this event, each designing a clock face that represents a specific hour of the day or night. 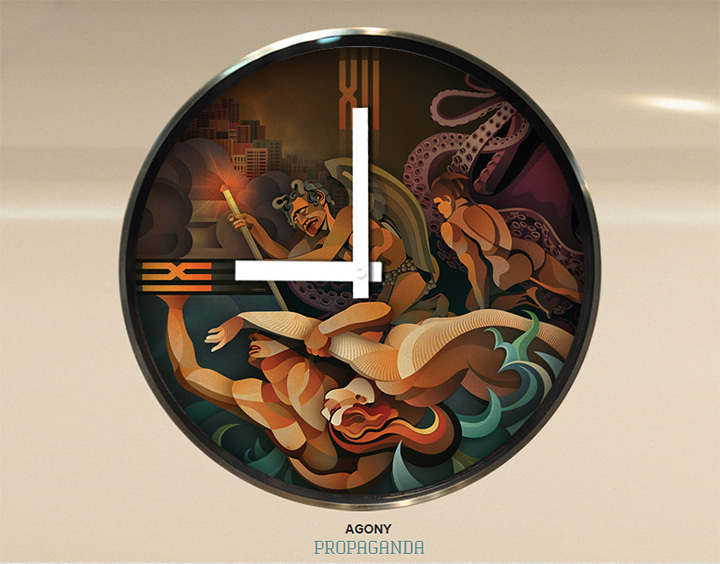 This visual interpretation was printed on the clock's face. Description: The futile struggle of existence upon the end of time. ~ All of the 24 wall clocks would be available for sale at set price, and the proceeds will be donated to a local foundation.